We stringently follow automated warehousing system that helps us in meeting the safe storage requirements. Thus, we ensure zero damage to the products till the final dispatch. This is due to our cordial associations with the logistic companies that we are able to reach any preferred Karnal(India) with ease, thus meeting the delivery schedule. 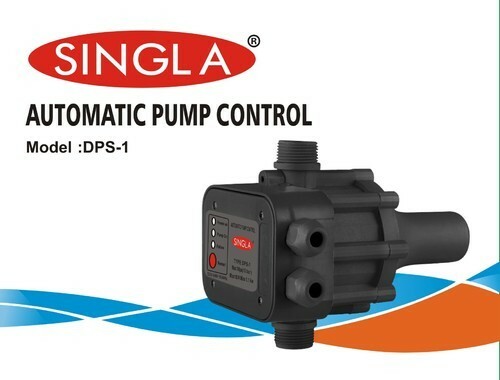 Automatic Pump control is a device with a new concept that guarantees optimal control of pumps for home use. Deriving from a hydraulic and electronic logics project, it is capable of simultaneously detecting both the pressure and the flow, as well as automatically managing the pump operation. It replaces the traditional expansion tank system, protecting the pump in the case of a water shortage. Far more compact than traditional systems, it is totally reliable, resistant, and easy to install. Replaces the traditional expansion tank system. Starts and stops the pump in accordance with the opening and closing of the taps. Maintains constant pressure during delivery. Shortage, protecting it from dry running. Attenuates the effects of water hammering.